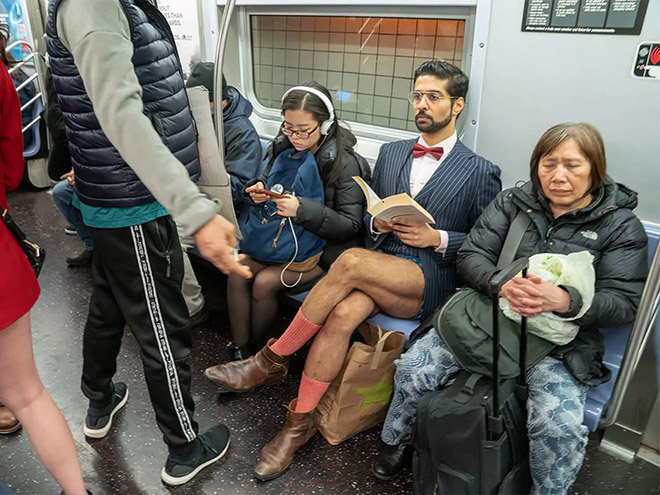 The “No Pants Subway Ride” is an annual event where people ride the subway while they are not wearing pants. The event is organized by Improv Everywhere, and has coordinators in cities around the world. Participants are instructed to behave as everything were normal. If their fellow passengers ask them why they aren’t wearing pants, they should reply that they simply forgot to put them on. They should also insist that it is a coincidence that others also forgot their pants. Note to self: Never ride a subway again.